"I have seen some of [Keystone's] projects develop and think [they] do a great job of redevelopment! I am most pleased to see the announcement of the 1400 S. Madison Project. I live in the Concord neighborhood and am part of the redevelopment hope for our neighborhood. 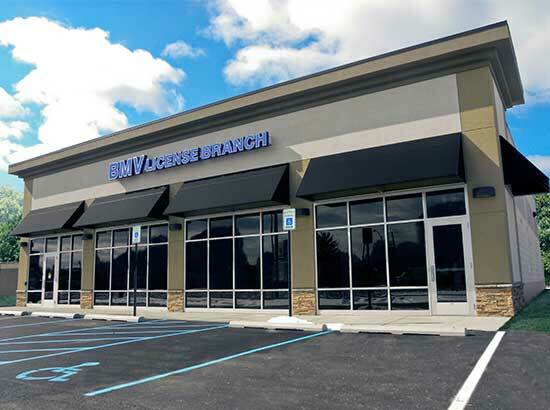 - Mark Fritz"
The near south BMV is a one story structure that sits on two acres of land on the near Southside of Indianapolis. It is surrounded by a neighborhood of single family housing as well as several small businesses. Perceiving the great potential of the busy area, Keystone Realty Group purchased this land to bring new life to a formerly distressed area and spark the interest of other developers. Since the development of this facility, an apartment, and an office building, the area has experienced a dramatic increase in residential and commercial growth.